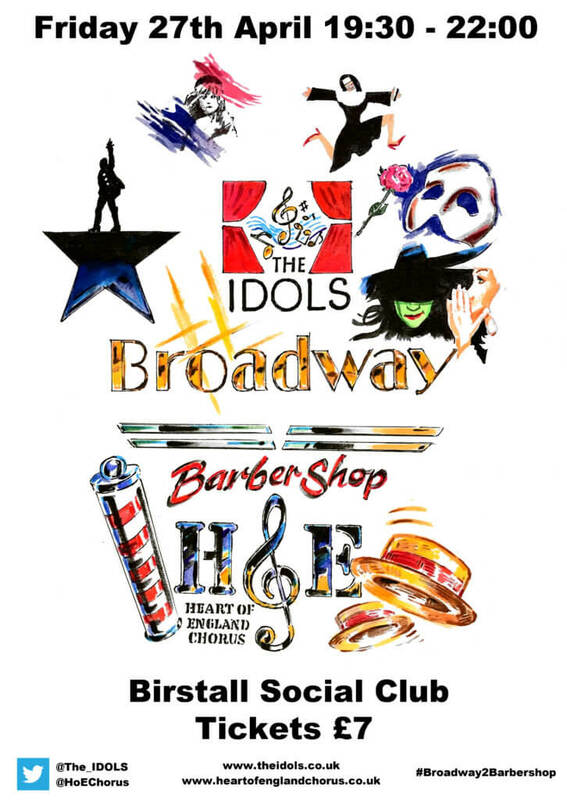 The IDOLS & The Heart of England Chorus present: Broadway to Barbershop This concert will showcase some of the best songs musical theatre has to offer from shows including Les Mis, Hamilton, The Greatest Showman, Wicked and many more. Then the audience will be treated to the acappella sound of barbershop with the Heart of England Chorus performing songs from their eclectic repertoire. Don't miss out on this special night which brings musical theatre and barbershop together.